Whitfield County Public Works staff prepare to mulch live Christmas trees during Keep Dalton-Whitfield Beautiful’s annual treecycling event. The next event will be on Saturday, January 9 from 8 am to 1 pm. Whitfield County residents are invited drop off live, natural Christmas trees and used electronic devices for recycling at the community’s annual Christmas Tree and Electronics Recycling event. Visitors to the event will receive a packet of herb or vegetable seeds to plant at home or another promotional item as a thank you for participating. 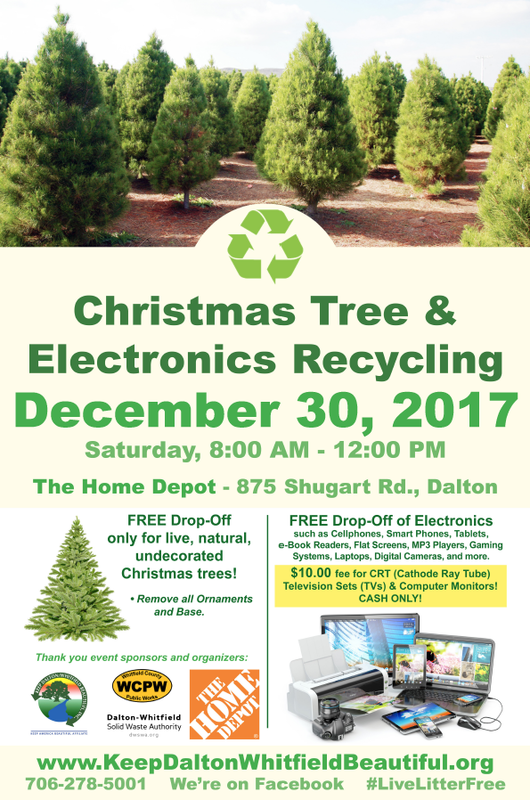 On Saturday, January 9, 2016 Keep Dalton-Whitfield Beautiful volunteers will be collecting live, natural, undecorated Christmas trees, and electronic devices from 8:00 am to 1:00 pm at The Home Depot parking lot located at 875 Shugart Road in Dalton. There is no charge for dropping off live, natural Christmas tress. 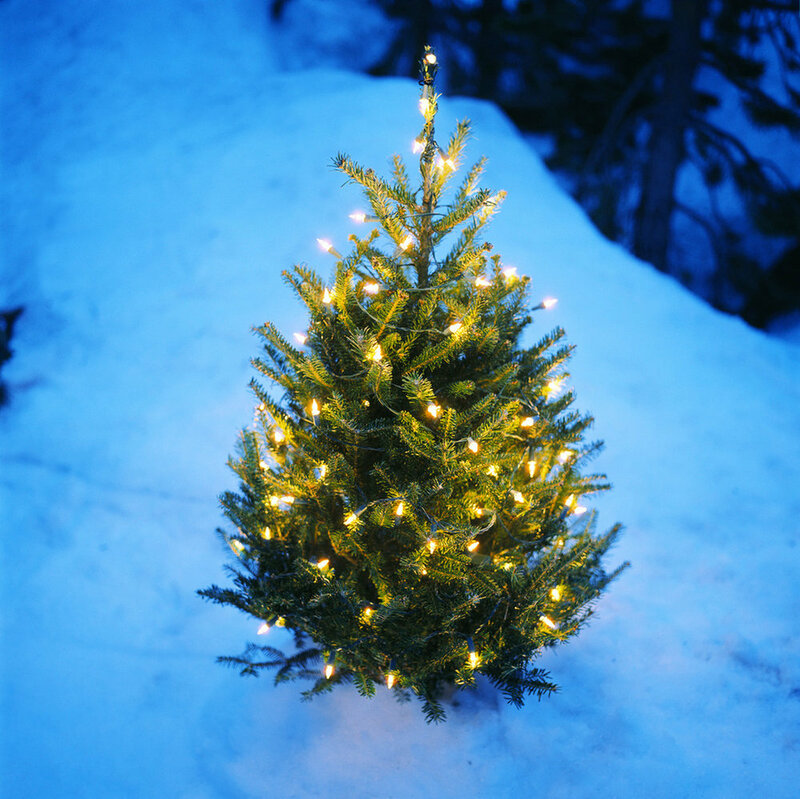 Trees must be free of ornaments, nails, hooks, wire, tinsel, lights, and other decorations. Only natural, live, real trees will be accepted – no artificial trees please. Trees will be recycled on site into mulch that will be used for beautification projects throughout Whitfield County. Please note that there is a $5.00 fee for CRT (cathode ray tube) television sets and computer monitors. However, other electronics can be dropped off for free. These devices include computer consoles, digital cameras, video cameras, cell phones, gaming systems and components, mp3 players, scanners, flat screens, eBook readers, tablets, and laptops. If you are unable to attend there are several options available year round for recycling Christmas trees and electronic devices. 3.) Electronics are collected for recycling year round only at the Old Dixie Hwy. Landfill & Convenience Center. For hours of operation and directions to any of the four Convenience Centers visit www.DWSWA.org or call 706-277-2545.